Medical Qigong is a gift of Chinese civilisation to mankind. It shares the principles of TCM (Traditional Chinese Medicine). It is a way of influencing and directing Qi for medical benefits rather than using needles, herbs or massage, although these can be supplementary. Medical Qigong has gained worldwide popularity in the recent years to treat all kinds of physical and emotional ailments, especially as part of integrated therapy for Cancer. With a background in Chinese martial arts, Master Tan also trained in Qigong for more than three decades. 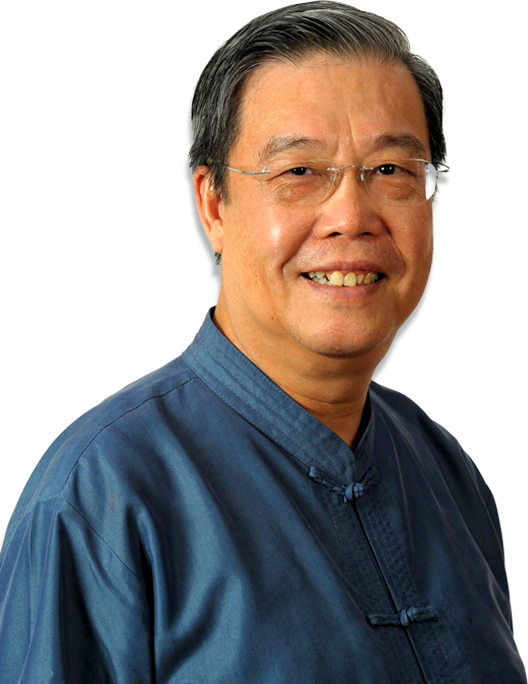 He retired from a successful career in Information Technology and Food & Beverages business to pursue his passion for Qigong and healing. Master Tan provides treatment services and conducts Qigong training for general health and self-healing. He also provides specialised training for those who aspire to become professional medical Qigong practitioners. Do you feel sick but the medical report shows that you are ’well’? Does an old injury keep bothering you? My journey started with Sifu in Autumn of 2016. I have been suffering from a whole list of allergies, of which use of drugs and steroids proved ineffective. The most threatening was my allergy towards alcohol. Since attending Qigong classes, my allergies are cured - even alcohol! I now have more energy, less aches and pains and am generally a happier person. His warm and generous personality and compassion can be felt through his teaching. I would highly recommend Master's Qigong lessons as it has helped me understand myself better. And through his guidance, you will be able to take charge of your wellbeing too! Qigong has played significant role in my wellness-being since last year. Previously, there were hardly days when I could take a rest without antidepressants and cravings for alcohol. Practicing Qigong converts me to be more relax and be able to share the positive energy to others. It is a gratitude for Master Tan for sharing the goodness of Qigong, in passion. When the student is ready, the master will appear. Yes, I was ready. In fact I had been searching for some time for a place where I could really learn the art and science of Qigong. Not just join any random group practicing in a park or community centre somewhere and just follow. But actually learn what Qigong is - the philosophies and scientific theories behind it, as well as how to practice it to achieve health benefits from it. Have any question related Wellness Medical Qigong?